Archival collections preserved by the International Tennis Hall of Fame form the basis of exhibits on view in the museum. Image courtesy of the Tennis Hall of Fame Museum. Established in 1954 and recognized by the International Tennis Federation in 1986, the International Tennis Hall of Fame celebrates and preserves the history of tennis and tells the stories of its champions. It is housed in the Newport Casino, where the first U.S. National Men’s Singles Championship took place in 1881, and includes a museum and an active tennis club. 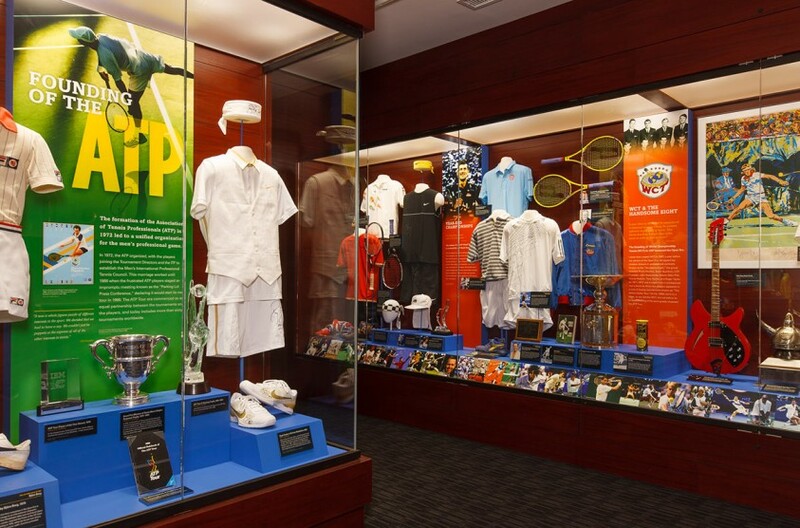 In the past decade, the International Tennis Hall of Fame has received recognition as a national historic site and a museum that interprets sports history. It was the first sports hall of fame to be accredited by the American Alliance of Museums and it became a Smithsonian Affiliate in 2017. Two National Endowment for the Humanities grants, which helped the museum preserve its historic collections, were building blocks in the accreditation process. The Newport Casino, a national historic site, houses the International Tennis Hall of Fame. Image courtesy of the International Tennis Hall of Fame Museum. 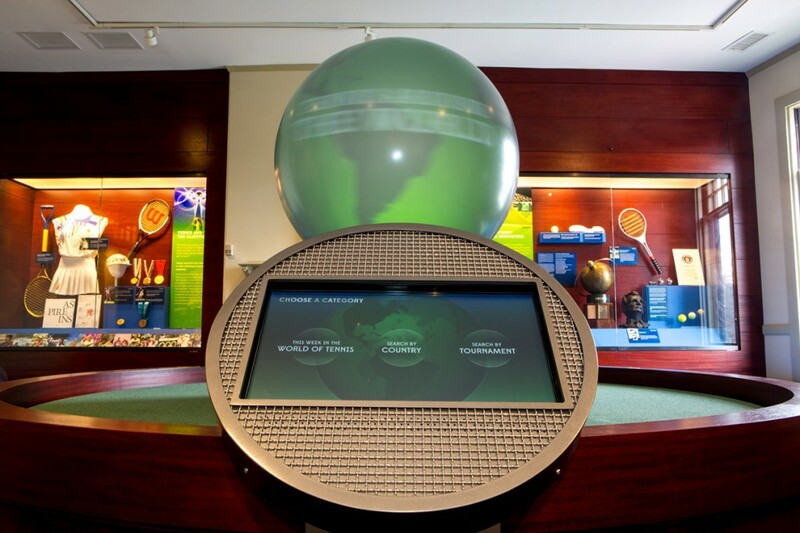 The International Tennis Hall of Fame’s collection encompasses more than 25,000 artifacts documenting the history of tennis from the twelfth century to the present, as well as the history of the Newport Casino. It includes items of clothing, tennis memorabilia, historical papers, oral histories, rare books, and video recordings of tennis matches. NEH funding helped the museum asses a collection of over 200 scrapbooks documenting the history of tennis and the Newport Casino during the Gilded Age. A conservator from the Northeast Document Conservation Center provided recommendations for storing the collection and for the repair of a few books in critical need of restoration. An exhibit in the International Tennis Hall of Fame. Image courtesy of the International Tennis Hall of Fame Museum. Another grant helped the Hall of Fame purchase environmental monitoring equipment—a necessity for an archive located in a nineteenth-century building. This equipment and the training associated with the grant have helped museum staff understand seasonal changes and fluctuations in the building’s environment. This knowledge, in turn, helped staff make recommendations for the museum’s recent renovation, which included adding walls, replacing storm windows, and improving ductwork, ensuring that the museum’s collections will be able to educate and entertain generations to come.